Pundit Capildeo succeeded in not only leaving a unique monument of his creation, but also a unique family who boast that among its members are three who hold the country's highest National Awards. 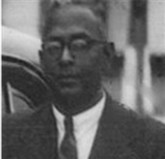 His eldest son Simbhoonath Capildeo was a prominent Solicitor and Conveyancer (Attorney-at-Law) and Member of Parliament from 1956 to 1966. He was regarded as the most fearless and fiery debater of his time and at one time was leader of the opposition in the Legislative Council. Together with the late Bhadase Sagan Maraj, he laid the foundation of the Sanatan Dharma Maha Sabha of Trinidad and Tobago Inc. and was its first Secretary of the Board of Education. He was instrumental in constructing and opening some 41 primary schools in the early 1950's with the late Bhadase Sagan Maraj. He also redesigned and maintained and managed and carried on the services of yet another landmark, The Port of Spain Hindu Mandir (Paschim Kaashi) at 2b Ethel Street, St James , until his death in 1990. 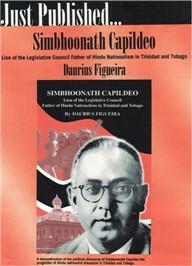 For services to the nation, Simbhoonath Capildeo was awarded the Chaconia Gold Medal. Pundit Capildeo's youngest son, Dr. Rudranath Capildeo was a Barrister at Law (Attorney-at-Law). In 1937, Dr. Capildeo won an Open National Scholarship in Mathematics from Queen's Royal College and so began a trend, which continued unbroken for more than 50 years in the Capildeo family. BR> Dr. Capildeo, after receiving his scholarship, completed the following degrees at University College London: B.Sc. (First Class Honours in Mathematics) in 1943; a M.Sc. in Mathematics (1945); and a Ph.D. in Mathematical Physics on the subject of the flexure problem in elasticity(1948). Dr. Capildeo went on to become a distinguished university lecturer and mathematical scientist. He held lectureships at University of London, University College London, and Westfield College, London. His textbook "Vector Algebra and Mechanics: theory, problems & solutions" was published by Addison-Wesley in 1968. The text can be found in the Lotus and the Dagger. Not only content with being an academic, Dr. Capildeo was a successful politician and was a Member of Parliament from 1961 to 1970. And as leader of the opposition (1960 - 1967), with Dr. Eric Williams as Prime Minister, both men laid the foundation for an independent Trinidad and Tobago. 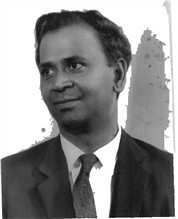 Dr. Rudranath Capildeo was awarded the Trinity Cross for services to the Nation in 1969. There was another Parliamentarian in the family. Pundit Capildeo's daughter Mrs Kalawtie Permanand also occupied a seat in the Senate. 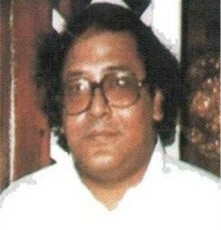 Born in 1940, Surendranath Capildeo was the fourth descendant of the Lion House family to enter politics. He contested elections under the DLP in 1976, a party led by his father, Simbhoonath and uncle, Rudranath. He was also a Senator from 1992 to 1996. However, his first calling was the law. He gained his LLB from University College London, England and was admitted to the Bar in Trinidad in 1968. 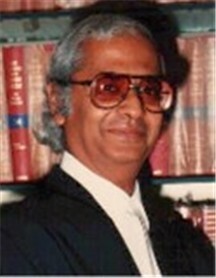 A successful lawyer, Surendranath Capildeo was also Treasurer of the Law Society of Trinidad and Tobago. Like his father, Surendranath is President of Paschim Kaashi, The Port-of-Spain Hindu Mandir and not infrequently gives speeches at Maha Sabha temples and schools. Through his efforts a book on the family - The Lotus and the Dagger (The Capildeo Speeches 1957-1994) was published in 1994. Compiled and edited by Samaroo Siewah the book features speeches of Rudranath, Simbhoonath and Surendranath Capildeo from the pre-independence struggle to 1994 and a family history. The book is available from Chakra Publishing at the price of TT$70, US $12, UK £8, CAN. $15, Rs. 24. Surendranath also acquired and completed restoration of the Lion House in 2001 at his sole expense, so that today the public can visit the Lion House and see it as it was in 1926. A grandson of Pundit Capildeo, Sir Vidiadhar Surajprasad Naipaul, won an Open National Scholarship from Queen's Royal College and went on to become a world famous novelist, winning the Nobel Laureate for Literature in the year 2001. He obtained his Bachelor of Arts from University College, Oxford in 1953, and four years later published his first book The Mystic Masseur, made into film by Ismail Merchant in 2001. In 1961 he published A House for Mr. Biswas, a novel autobiographical in its nature, clearly modelled on the Capildeo family and the Lion House. Some of his other works include The Guerillas(1975),The Middle Passage(1962) A Bend in the River(1979), Among the Believers(1981), The Enigma of Arrival (1987), India: A Million Mutinies Now(1990),Beyond Belief(1998) and Half a Life(2001). 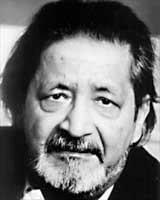 In 1990 he was knighted by H.M. Queen Elizabeth and in 1992 Sir Vidiadhar Surajprasad Naipaul was awarded the Trinity Cross for services to the nation. V.S. Naipaul's younger brother, Shiva was born in 1945 in Trinidad. Following in his older brother's footsteps, he studied at University College Oxford obtaining a degree in Chinese studies. The younger Naipaul wrote five books before his untimely death in 1985 at the age of 40. The Chip Chip Gatherers, Fireflies and A Hot Country are works of fiction. His non-fiction works include North and South and Black and White. A collection of fiction and travel pieces entitled Beyond the Dragon's Mouth was published in 1984. Neil Bissoondath, nephew of the Naipaul brothers, son of their sister Sati, also became a writer. He was born in Trinidad in 1955 and emigrated to Canada in 1973. He studied for his B.A. from York University, Toronto and is the author of several novels, both fiction and non fiction. Some of his books include Digging up the Mountain(1988), A Casual Brutality(1989), The Worlds Within Her, The Innocence of Age, and Selling Ilusions: the Cult of Multiculturalism. 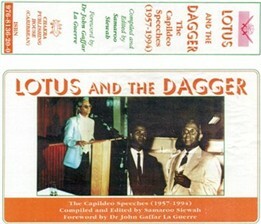 Chakra Publishing offer for sale The Lotus and The Dagger:The Capildeo Speeches 1957-1994 a book of historical, social and political importance. Featuring the speeches of Simbhoonath, Rudranath and Surendranath Capildeo and a family history, the book maps the political challenges, successes and debacles of the Capildeos and the Indian immigrants to Trinidad from the pre-independence struggle to 1994. The price of the book is TT$70, US $12, UK £8, CAN. $15, Rs. 24. It is a term of viewing this website that the navigator will not reproduce in any manner or form information contained within. By navigating this website the navigator is deemed to have consented to this term. Reproduction of the verbal or pictorial content of this website from any source without permission from the author infringes copyright law and will be prosecuted. DISCLAIMER:The author of the website is not liable for any information published on this website including opinions and representations. There has been no substantial copying from any copyrighted works and no intellectual property rights have been infringed on this website.